It shouldn’t have been that hard, between Easter and the end of the week, to work out how to send an email only to those affected. Or even to segment it into people who might be affected in different ways. With those not directly affected being given a more upbeat, less detailed story. Am sure that the likes of the data guru team Torque/ Datarati/ Global Red/ Quantium/ Beyond Analysis (inter alia) would provide clearer insight into how businesses have targeted different segments of their database with a range of different messages in times of crisis. 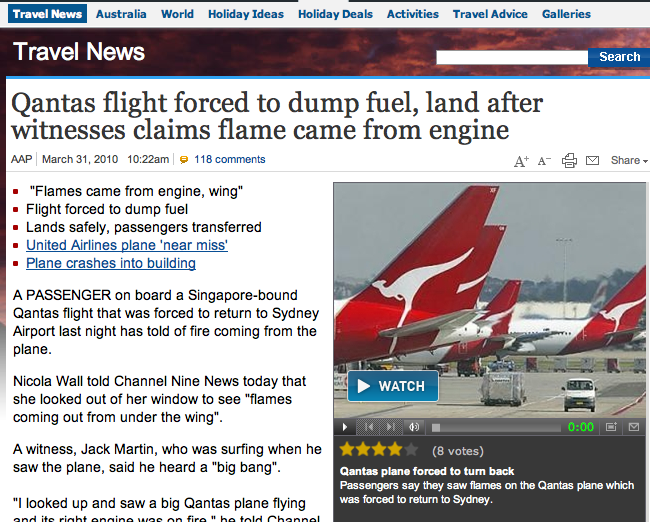 Qantas are clearly only at the beginning of their flight to successful data management. Let’s hope all their flights, both figurative and real are happily bereft of sparks for the foreseeable future.